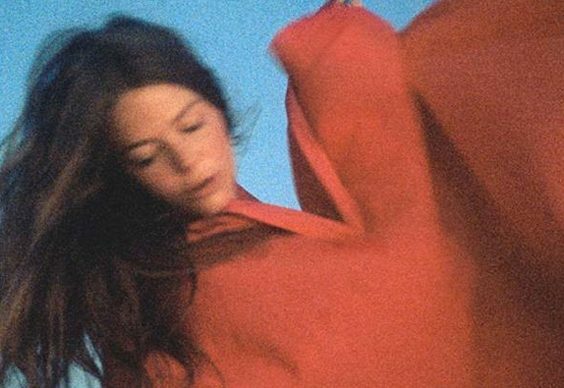 Maggie Rogers came to public attention when the video of Pharrell Williams’ emotional reaction to her song ‘Alaska’ went viral – although the multi-instrumentalist has been playing music since she was seven. 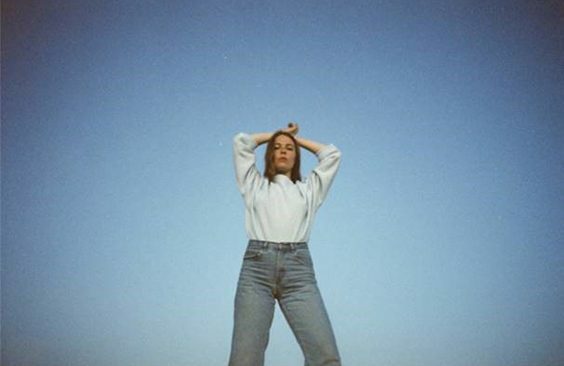 The American singer-songwriter is about to release her first major label studio album, Heard it in a Past Life, and she and her band are currently playing across the UK with Mumford and Sons, with a world tour in 2019. Do you celebrate Thanksgiving or Christmas traditionally? Both! I was away for Thanksgiving this year, but my brother, my sister and my parents all flew over to Manchester, and so we celebrated on tour this year. Really sweet, and I’ll be home for Christmas. Do you get snow at Christmas in Maryland? It definitely did snow when I was growing up. But now it snows maybe only once or twice a year. It’s THE mid-Atlantic coast. The weather’s totally kinda boring. Ha-ha! Straight down the middle! Did you manage to finish your forthcoming album, Heard it in a Past Life, before the tour started? Oh yeah! I finished recording it in April and mastering it in July. It was originally supposed to come out some time in November, and I’m really glad we pushed it. I was initially hesitant, just because I’m excited. But also, in the States, I’m playing an hour and a half long sets and I only have nine songs out, the EP and then the singles. So, I’ve been playing the whole record live, ‘cos I’m bored and ready for it to be out! Do you have a favourite song off the album? I don’t. It changes from day to day. I think that’s the best thing about music; your favourite song can change. ‘Light On’ was the last thing I wrote for the record, but I’ve been writing a bunch of music since then. I really write music to process events, and to catalogue my life. I always think about albums as a record of a period of time. And so, I write a song and then I’ll play it on guitar or piano until the way I feel changes, then I’ll write another. I really like the ‘non-traditional’ drum sounds you use. Have you had chance to get experimental stuff into the mix? Oh, thank you! There are a couple of sound samples in there, but I grew up playing banjo and making folk music, and I have a classical background as well. In college though, I played in every possible band; I played bass in a punk group, I played guitar in a shooby-doo rock band and I DJ’d a bunch. So, when I made the EP it was really me, for the first time, thinking about pop music, using synthesisers. When I came to make this record I realised I missed live instruments, so I found balance between the natural world and the electronic world by using acoustic instruments and re-introducing those into my work. Whereas those weren’t really there before. I didn’t find electronic music incredibly fulling to play; I missed being in a band. So, you’ve hit the big time. Is it what you imagined it would be as a kid? I don’t know. I mean the first two years of doing this I felt really rather overwhelmed. No seriously, I was really scared for a while. When my very private life became very public, it felt very much out of my control. The song I was working on, [‘Alaska’] that video wasn’t even finished, you know? It was put up on the internet without me knowing. I’m still so grateful it [the Pharrell Williams Masterclass] happened, but there’s so many songs on the record, especially like ‘Light On’ or ‘Back In My Body’ that tell the story about me thinking that I might give it up, and wondering if this career was really for me. And so, initially no, it wasn’t what I thought it would be like. The reality of being a professional musician is that your day is about 20-30% music. But I think that’s also why I’m so proud, and so excited about this record is that it’s really me saying “Yes!”. And “Okay, I can do this on my terms and in my way”. I’m really enjoying it now, for the first time, and it’s amazing. What’s the most fun you’ve had since that ‘Pharrell Williams’ moment? Almost exactly a year ago, I went to Senegal with the guys from the band and we spent ten days there making music with Baaba Maal. That was fun! I think a lot of those bits and bobs of percussion, and just learning about that music, made its way onto the record. People seem to struggle to categorise your music! What genre would you put yourself into? Ha-hahahaha! What box do you fit into? I don’t want to be in a box! No box! I think genre exists to sell music, it’s not a part of the process. When people ask me what kind of music I make, I say I make pop music. I’ve stopped trying to figure it out. Indie-folk-electronic? Folktronic-alternative? None of it makes any sense. Just listen to it! I’m listening to Brockhampton, who are a rap collective from Texas, and Kasey Musgraves released the most beautiful record called Golden Hour about a year ago, it’s amazing. Also, just before you came in, I was listening to Wrecking Ball by Emmylou Harris; that’s a good one. That’s a different answer than I was expecting. I thought it would be more folk music, to be honest. That’s funny! I do get kinda pegged as ‘nature girl’, but I lived in New York for five years and I’m a 24-year-old. The ‘natural look’ is sort of, like… it’s funny that that’s even a look. It’s really just me being me!